We invite you to visit our quaint, Texas country winery and tasting room nestled at the edge of our 4 acre vineyard. We are located a little “off-the-beaten-path”, but once you arrive, we hope you’ll sit back, relax and enjoy the laid-back and fun atmosphere of our little piece of the Texas countryside. Belly up to our tasting bar or our custom-made wine barrel tables and enjoy a glass of one of our handcrafted Texas wines. Or, relax in the country breeze on one of our covered “wine sippin’” porches. If the mood strikes you, grab one of our delicious cheese trays and make your own picnic under one of the many large oak trees dotting the property. If you get tired of sitting, amble down to the pond for a glimpse of some wildlife or wild flowers, or take a stroll through the vineyard to witness where your wine started. We want you to feel right at home here. Our vision for Whistling Duck Vineyards & Winery is the careful blending of nature, fine wine, friendly Texas hospitality, and a tranquil country setting where the most sophisticated wine drinkers and those who have never even tasted wine can come to sample our wines, relax, have fun, and feel like they’re part of our family. We wish everyone at Whistling Duck Vineyards & Winery the same, Happy Easter! 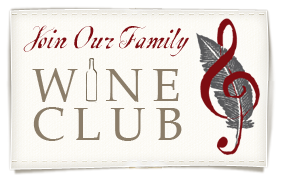 Whistling Duck Vineyards & Winery is a family-owned and operated labor of love and when you join our wine club you become part of our “family”! Enjoy exclusive benefits, like access to limited production, member-only wines, special events and, best of all, a “gift to yourself” to open 4 times a year! We now have our very own wine trail showcasing the great wines of beautiful south central Texas. Nine local wineries located from Hallettsville to Weimar to northeast of La Grange are part of this new wine trail. Our area of Texas has a rich history and so much to see and do. We invite you to make a full day or even an entire weekend of visiting the wineries on our wine trail. Visit the Wine Trail website.